what is this? anyone know what i have found? this guitar also has oval neck inlays i have never seen. ser# 587876 . i don't know if its a fake or just some odd guitar gibson built. please give me any info or advice you can. The bridge looks exactly like my late 70s-early 80s Schecter bridge from here - 2 screws for each saddle have to be adjusted from either side of the bridge, which is slghtly offset due to position of the mounting shaft holes (hope that makes sense! ), so I'm 99% sure that is a Schecter bridge. Mine is still in use. I'm no expert but this is definitely NOT a 'true' Gibson IMO due to the body, neck inlays and headstock which just looks the wrong shape, even with the piece of paper concealing the top of it. Many features are quite similar to the cousin Recording model, but the headstock inlay and custom fret marker inlays tell a different story. A very odd and rare guitar, no doubt. sorry about the paper, it's to help me keep up with what guitar goes with what case. i bought 20 guitars from an estate sale. i have no idea what this is the head stock looks right except the oval inlay. looks like a cheaper recorder. it really sounds and plays great and will be a fun guitar to own, i jut wonder if it has any value. 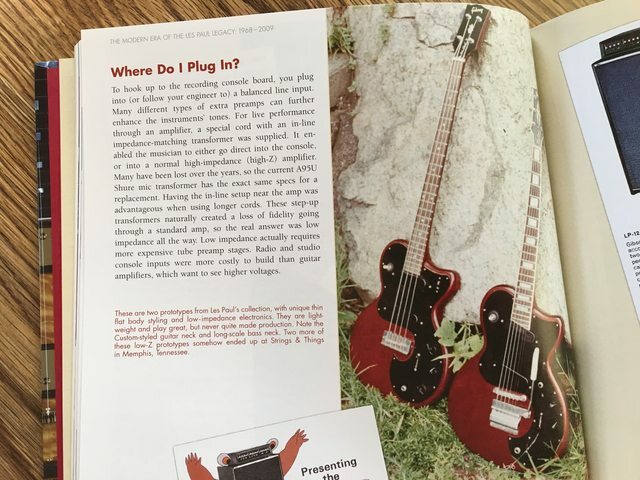 Some of the features are sort of odd, the bridge might have been changed at some point, but I would say it is very likely an early Les Paul low impedance prototype. 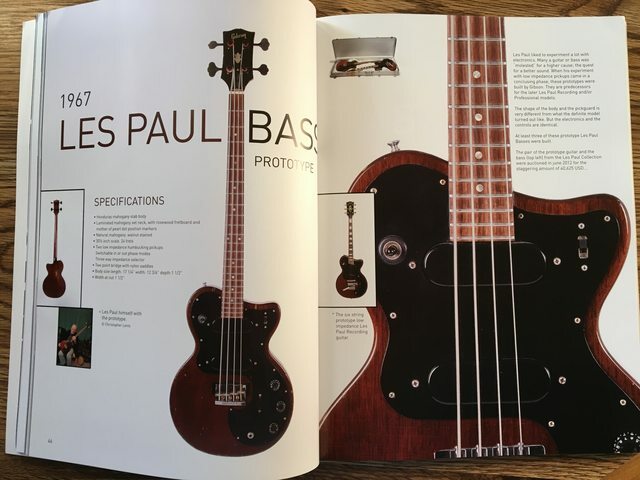 Rob Van Den Broek within the last year wrote a book on Gibson basses. He owns a similar bass prototype. Many of the features are similar. I think you have a great find! very close but different still. I am going to try calling gibson and see if they can tell me anything. You might want to contact Walter Carter at Carters Vintage Guitars. He's a great Gibson historian. Thank you for the info. I will try to contact him. If i find out anything ill post it here. i sent pics to mr carter and he said that he did not know what it was buy he was sure that it was not a gibson. not what i was hoping for but a great sounding and playing guitar. I still think it is a low impedance prototype. It has the low impedance pickups before the Gibson Logo was molded on the top of them............... I'm intrigued by it!